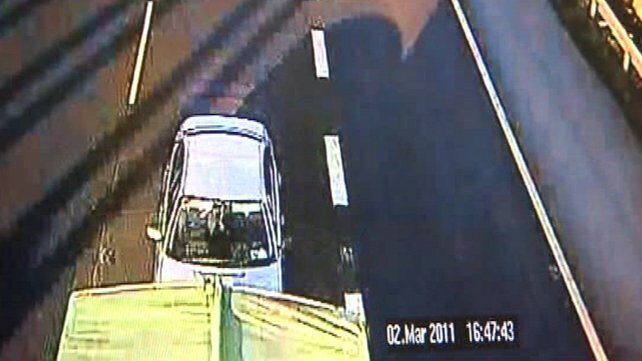 The company who operates the State-owned, barrier-free toll have said that there are on average 78 instances every day of drivers tailgating lorries, mistakenly believing that this prevents cameras reading their registration .eFlow have said that Irish drivers are risking their lives and the lives of others in an attempt to avoid having to pay for theM50 tolls. eFlow had added new cameras a few years ago that focuses on the rear registration plate of the vehicle so both front and rear plates are photographed as a vehicle passes through the toll bridge.Simon McBeth, director of communications and customer relations at eFlow has said he is astonished that drivers would but themselves and others at such high risk in order to try and avoid the €3.10 fee. Mr McBeth said that the company manages more than 20,000 customer transactions each day for 600,000 eFlow-registered motorists. These figures were released today as Minister for Transport Leo Varadkar opened the new eFlow offices in Blanchardstown. – An average of 236 new motorists register each day. – eFlow, together with its customer service partner Abtran, manage over 20,000 customer interactions per day in registrations, toll payments, and updating vehicle ownership details. – 51 % of vehicles have registered for a tolling account to avail of lower toll charges.